Mamata Banerjee’s chopper which was headed towards North Dinajpur lost its way and took almost 55 minutes to reach the rally venue. पश्चिम बंगाल की सीएम ममता बनर्जी. 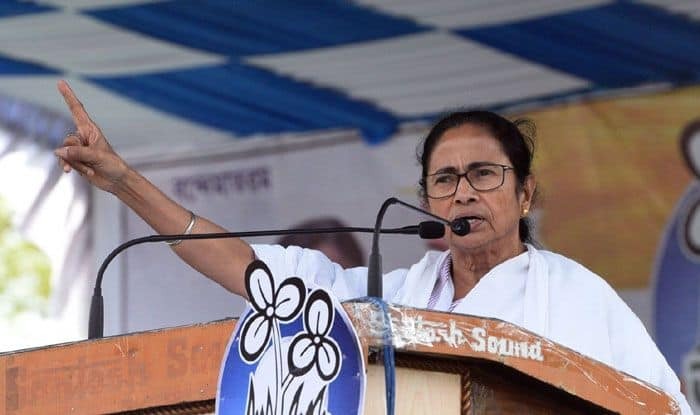 Kolkata: After West Bengal Chief Minister Mamata Banerjee’s chopper lost its way en route to North Dinajpur’s Chopra town where she was headed for a rally earlier on Wednesday, a high-level inquiry has been ordered for the same. It must be noted that the WB CM is a Z plus category protectee. Earlier in the day, Banerjee’s chopper lost its way and took almost 55 minutes to reach the rally venue. “I am sorry that you all had to wait for me. This distance is usually covered within 22 minutes, but it took us 55 minutes to find the way. The pilot could not find the way,” Banerjee had said. As per the officials, the chopper ventured into Bihar’s air space by mistake. Then it became difficult for the pilot to locate the helipad which was created right next to the stage of her campaign in Chopra. It was after establishing radio contact that the pilot was given a route to follow and he managed to locate the helipad. A colourful flare was also fired to help the pilot locate the exact location of the helipad. The chopper had taken off from Siliguri around 1 PM but it landed at 2 PM. In 2016, a Kolkata-bound flight carrying the Chief Minister from Patna was reportedly low on fuel and was hovering over the Kolkata airport for over an hour, landed behind schedule. Banerjee and other TMC leaders had then alleged that it was a plot to eliminate her.